Once you’ve decided to take the plunge and use Bitcoin for your next online betting deposit, the next step is to find a Bitcoin-friendly platform. Fortunately for fans of cryptocurrency, most of the major online betting sites have already integrated Bitcoin as an accepted method for making deposits and/or withdrawals. In fact, many of the leading online betting brands have made Bitcoin conversion a big part of their business model going forward. As a result, they usually offer generous bonus plans and other incentives to motivate bettors to use Bitcoin rather than debit or credit cards, or other outmoded banking methods. And while the sites themselves are saving money by moving to Bitcoin banking, bettors are also enjoying the lack of third party involvement, little or no transaction fees, increased privacy, and greater financial flexibility. Fans of the Bodog / Bovada online betting have been using Bitcoin for banking transactions since May of 2016. The standard wallet-to-wallet process is used, and you can obtain an address linked to Bovada’s wallet by clicking through to the Deposit page. With the address in hand, the next step for desktop users is to launch a wallet client and input the alphanumeric string, while mobile users can simply scan a QR code using their wallet’s app. The minimum on deposits is the current Bitcoin equivalent of $20, while the maximum amount is $5,000. When making a withdrawal using Bitcoin, the minimum is still $20, but the maximum climbs to $9,500. In both cases, bettors incur absolutely no fees of any kind. One word about withdrawing via Bitcoin though: you’ll only be able use this cashout method if you’ve previously deposited using Bitcoin. Additionally, if you did deposit in Bitcoin, you’ll only be able to cash the corresponding funds out using a Bitcoin withdrawal. Perhaps the biggest benefit offered to Bitcoin users by Bovada is almost instantaneous transaction times. Unlike the sites listed above, which require players to wait between 15 and 40 minutes while their transaction block is being validated, Bovada speeds the process along. By attaching a higher fee to the purchase (out of their own pocket, not yours), Bovada ensures that Bitcoin miners will seek out and validate its transactions much more quickly than usual. As a result, your deposited funds will be available for play within 1-2 minutes in most cases. Finally, Bovada also tops the competition by including a reload bonus of up to $250 on unlimited Bitcoin deposits. The sites shown above all offer standard bonus plans for Bitcoin users, but Bovada ups the ante with a generous bonus plan that can be used multiple times, rather than just once in a given time period. As one of the worldwide leaders in online sports betting services, it’s no surprise to learn 5Dimes has converted to cryptocurrency banking. Since November of 2014 bettors using 5Dimes have been able to fund their account, or withdraw winnings, through their personal Bitcoin wallet. The process is extremely easy, as users simply obtain a new 5Dimes wallet address from the site’s Cashier - Deposits page. From there, depositing works just like any other Bitcoin purchase, so you’ll simply open your personal wallet, input the 5Dimes wallet address, and select a deposit amount. Bettors using 5Dimes can’t place actual wagers in Bitcoin just yet, so your Bitcoin deposits will always be converted to their dollar equivalent. The wait time for validation and blockchain addition is “up to 40 minutes,” but as Bitcoin enthusiasts know, this delay helps to ensure the integrity of every transaction without involving any third party middlemen. And with those middlemen (banks, credit card companies, PayPal, NetTeller, etc.) out of the way, 5Dimes doesn’t have to pass the charges it pays to payment processors along to customers. As a result, you’ll incur no fees whatsoever when depositing via Bitcoin. When it comes to withdrawing your winnings, the minimum cashout is the Bitcoin equivalent of $50, and the maximum is $10,000 – but bettors who deposited exclusively with Bitcoin will have no withdrawal limits imposed. These transactions are also free of charge, making Bitcoin the only complete fee-free two-way banking method available on 5Dimes. 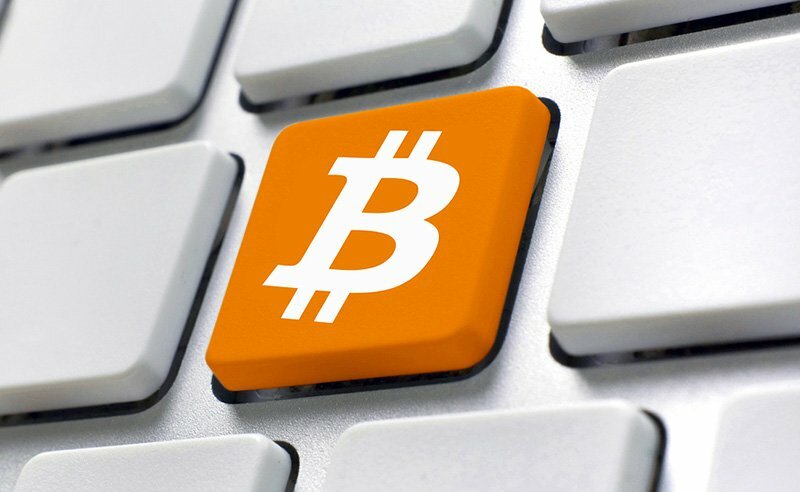 The popular BetOnline platform added Bitcoin as a banking method in May of 2015. The process for deposits and withdrawals is the same as any other Bitcoin transaction, so you’ll simply need to obtain the BetOnline wallet address from the site’s Deposit page, open your own wallet, and send your preferred amount of Bitcoin through. The minimum deposit amount is the current Bitcoin equivalent of $20, while the maximum is capped at $3,500 worth of Bitcoin. When it comes to wait times, you’ll be sidelined for just the standard 15-minute window needed to validate transaction blocks and add them to the blockchain, so no additional delays are required. And in terms of Bitcoin withdrawals, the system is almost the exact same, with a $20 minimum cashout but up to $5,000 as the limit. According to the site’s terms and conditions, a 48-hour wait for Bitcoin withdrawals is the standard. No fees of any kind are assessed to Bitcoin deposits, but BetOnline does charge a 2 percent fee on the total withdrawal amount. Bettors on the Intertops platform have been Bitcoin capable since December of 2015. The deposit process is a bit convoluted, requiring users to register for an account with blockchain.info in order to begin a Bitcoin deposit. So you’ll need to transfer funds from your personal wallet to a new blockchain.info wallet to proceed. From there, the standard transaction process applies. The minimum amount for deposits is the Bitcoin equivalent of $10 at the time, while the maximum limit stands at $1,000. No fees are assessed on deposits, and funds will be cleared for use in 10 minutes or less. When making a withdrawal from Intertops using Bitcoin, the minimum amount is $100 and the limit is $2,500 per week. Once again, no fees whatsoever will be imposed on cashout transactions. Your funds will be credited back to your Bitcoin wallet of choice in 48 hours or less. Only users who have deposited using Bitcoin can take advantage of the withdrawal option.